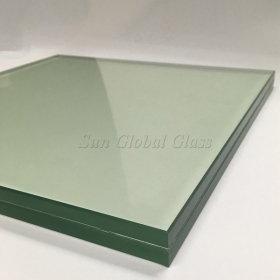 Sun Global Glass provide all glass with bespoke wooden crates, guarantee all glass arrived at destination with complete package and safety condition. Step 2: Store glass in warehouse that dray and ventination, no glass will be stocked more than 6 months. Step 4: Fix all crates by steel belt, ensure no movement in container during transportation. 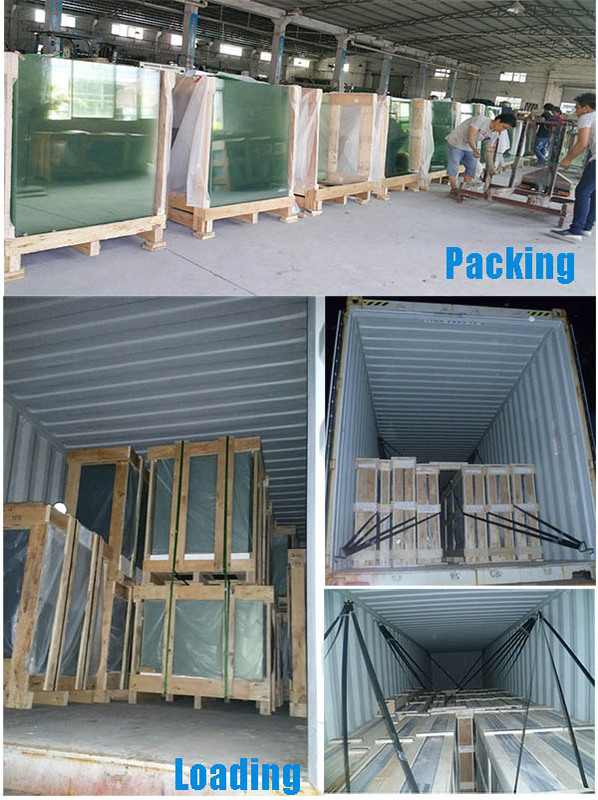 This packing type apply to standard sheet size of float glass: clear float glass, tinted float glass, reflective float glass, extra clear low iron float glass, acid etched frosted float glass, silver mirror float glass, aluminium mirror float glass, low-e float glass, and clear laminated glass. 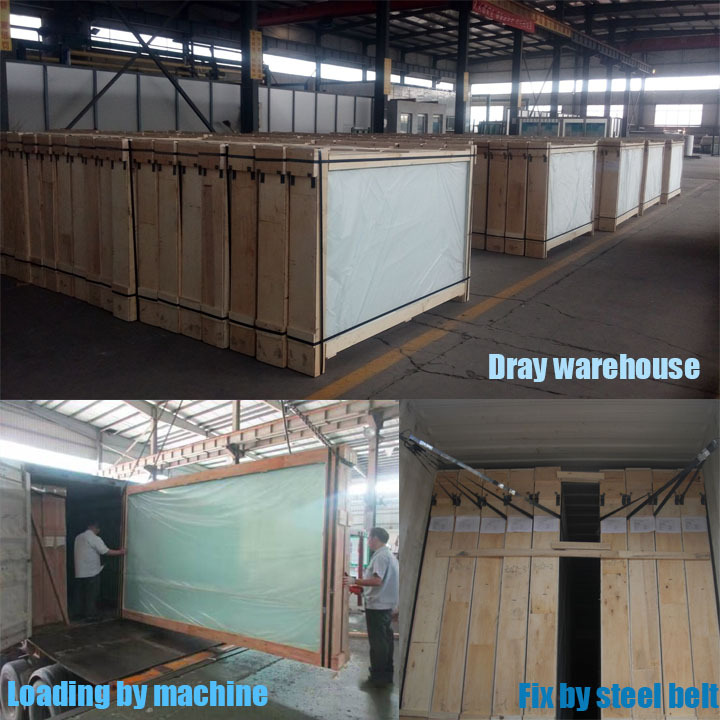 Step 3: Load crates into containers and fix by steel belt, to avoid of “moving” in the container dring transportation. 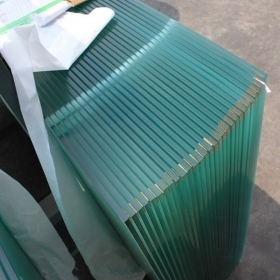 This packing type apply to: cut size and proceed glass, such as clear tempered glass, color toughened glass, tempered laminated glass, decorative beveled wall mirrors, low-e insulated glass, silk screen printing glass, frosted tempered glass, extra clear tempered glass, railing glass, balustrade glass, frameless tempered glass door, frameless bathroom mirror...and so on.